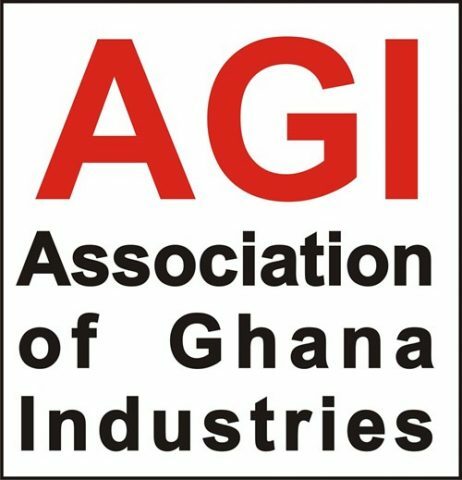 The Association of Ghana Industries (AGI) has thrown its weight behind the cargo tracking note (CTN) policy, describing it as a possible solution to the various trade malpractices facing the country. It said the association was convinced that a proper implementation of the system would help reduce the menace of under-invoicing and valuation, misdescription and the general flooding of the economy with cheap imports – the very challenges that have long undermined the fortunes of domestic manufacturers. As a result, a former President of AGI, Dr Tony Oteng-Gyasi, told the GRAPHIC BUSINESS that agitations against the full implementation of the system were misplaced and should not be allowed to dictate the outcome of the policy. “We at AGI have no problem with it because we think that it is a chance also to enhance manufacturing activities,” he said in an interview. “We think that it helps address the same issue that we have been going on again and again that people should not under-declare their imports because it undermines local production. “And if this is a system that will help us get the correct values by ensuring that what people report to their own countries as export values are the same we get as our import values, why are people unhappy that it is being implemented?” he asked. Beyond promising an increase in revenues generated from the ports for the state, the astute industrialist, also the managing director of the Tropical Cables and Conductors Limited (TCCL), said the CTN system could eliminate the influx of cheap and counterfeit imports to the benefit of the economy. Consequently, Dr Oteng-Gyasi said he and the association were surprised that the government appeared to have kowtowed to the demands of the Ghana Institute of Freight Forward (GIFF) and the Ghana Union of Traders Association (GUTA) by shifting the implementation date from September 1 to October 13. As agents of trade, he said the GIFF in particular did not qualify to speak on the matter, let alone determine whether or not it should be implemented. “These kind of untidy agitations to delay policy that is good for the whole country should not be entertained. “A policy which is supposed to ensure that the correct values are used in transactions is a government prerogative to undertake and why should we allow people who are mere agents to decide what policy should be used?” he asked. The GIFF had earlier sought the support of the AGI in getting the government to back down with the implementation of the policy. Dr Oteng-Gyasi, however, said the association declined its support after realising that none of its members would be affected adversely. “In any case, if some nuisance taxes have been removed and electricity tariffs have been reduced, which makes our work easier, why shouldn’t we also support areas that will enhance government revenue? “But the basic thing in all of this is it levels the playing field for imports and domestic produce,” he added. In a separate interview, however, the President of the GIFF, Mr Kwabena Ofosu Appiah, said the AGI was seeking to address its long-held concern of mistrust at the ports with a wrong medium and system. He said the implementation of the CTN would infringe upon aspects of the World Trade Organisation (WTO) regulations, which sought to protect integrity of documents in the course of trading. “We are saying that granted the exporting country’s documents can even be admitted, how are you admitting it?” he asked in a September 3 interview. “You are asking the foreign freight forwarder to go onto the customs platform outside of this country, do a declaration, print, scan and upload onto your platform. Don’t you think that whatever mischief you’re trying to cure can be reintroduced onto your platform? “We are saying that the mischief you’re trying to cure will just be exported from Ghana to other countries,” he stressed. “I’m sure you know what happens in China. When you go buy let’s say an air conditioner in China, the manufacturer can even ask if you want him to put a Samsung or Philips label on it. He will even ask you what price you want to put on it,” he said and, thus, wondered how the CTN could help address such a lapse. He indicated that rather than burdening freight forwarders and other stakeholders with new bureaucracies, the Customs Division of the Ghana Revenue Authority should rather collaborate with its sister customs in other countries to help ensure information exchange and transparency. “This will ensure that no penny is being paid and there is no additional bureaucracy. When we talk like this, are we hiding something?” he asked. Dr Oteng-Gyasi of the AGI and Mr Appiah of the GIFF were speaking to the GRAPHIC BUSINESS on the suspension of the CTN on August 31, two days to the start of its full implementation on September 1. The decision to suspend the implementation followed agitations by the GUTA and freight forwarders against the system, describing it as a bureaucratic regime that will raise cost of shipping, reduce turnaround time and make their businesses inefficient.